Lineage. Constituted as 128th Fighter Group and allotted to Wisconsin ANG on 24 May 1946. Extended Federal Recognition on 29 Jun 1948. Redesignated: 128th Fighter-Interceptor Wing on 1 Nov 1950; 128th Air Refueling Group in 1 Aug 1961; 128th Air Refueling Wing on 1 Oct 1995-. Assignments. Wisconsin ANG, 25 Jun 1947-; 66th Fighter Wing, 29 Jun 1948; 30th Air Division, 1 Feb 1951-1 Nov 1952. Components. Groups. 128 Fighter (later, Operations), 1 Nov 1950-. Squadrons. 126th Fighter (later: Fighter Interceptor; Air Refueling), 25 Jun 1947-; 176th Tactical Air Support (later: Tactical; Fighter), 9 Nov 1974-. Stations. Mitchell Field, WI, 25 Jun 1947-Mar 1951, 31 Oct 1952-; Truax Field, WI, Mar 1951-31 Oct 1951. Aircraft. P-51D, 1947-1949; F-80, 1949-1952; F-51D, 1952-1953; F-86A, 1953-1954; F-89C, 1954-1960; F-89J, 1960-1962; KC-97G, 1962; KC-97F, 1962-1965; KC-97L, 1965-1977; O-2A, 1974-1979; KC-135A, 1977-1983; OA-37B, 1979-1981; KC-135E, 1983-1992; KC-135R, 1991-; A-10A, 1992-1993; F-16C/D, 1993-. Operations. Air defense of Midwestern USA, 1947-1951, 1952-1961.Called to active as part of the Korean War call-up, 1951-1952. Global air refueling, 1963-. Participated in Operation “Creek Party”, 1967-1977. 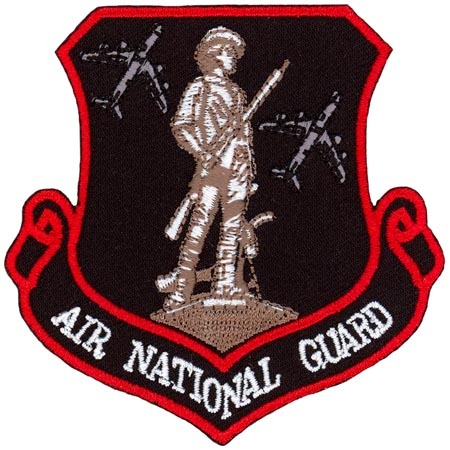 Maintained 24 hour per day Strategic Air Command (SAC) alert commitment, 1979-1991. Participated in Operations Desert Shield, Desert Storm, 1990-1991; Restore Hope, 1992; Decisive Endeavor, 1996; Allied Force, 1999; Noble Eagle. 2001-2010; Enduring Freedom, 2001-2011; Iraqi Freedom, 2003-2011; Joint Forge, 2004. Decorations. Air Force Outstanding Unit Award, 5 Jun 1967-10 May 1968; 11 May 1968-31 Dec 1976; 1 Jul 1988- 31 Jun 1990; 1 Sep 1992- 31 Aug 1994; 15 Apr 1995-14 Apr 1997.